NEWLAND, N.C., 14 November 2018 -- The prize-winning Fraser Fir which had been selected as the official Trump White House Christmas Tree for 2018 was found dead this morning, its needles turning brown and brittle, an apparent suicide. "It was fine yesterday," said Avery County tree farmer Peegan Holyrood, "but this morning it looked like someone had injected its roots with saline, or sprayed it with RoundUp ®." Representatives of the Trump White House had been in the field the day before discussing the tree's dimensions in front of it. They had touched its limbs and took a measurement of its height. Plant pathologist Harry Pyne of the U.S. Forest Service said he'd never seen a case like it, but after consulting with plant scientists at North Carolina State University, Pyne said it was known that certain species of Abies (fir trees) have the ability to turn their sap into self-immolating acids if they feel threatened by forest fires or humiliation. 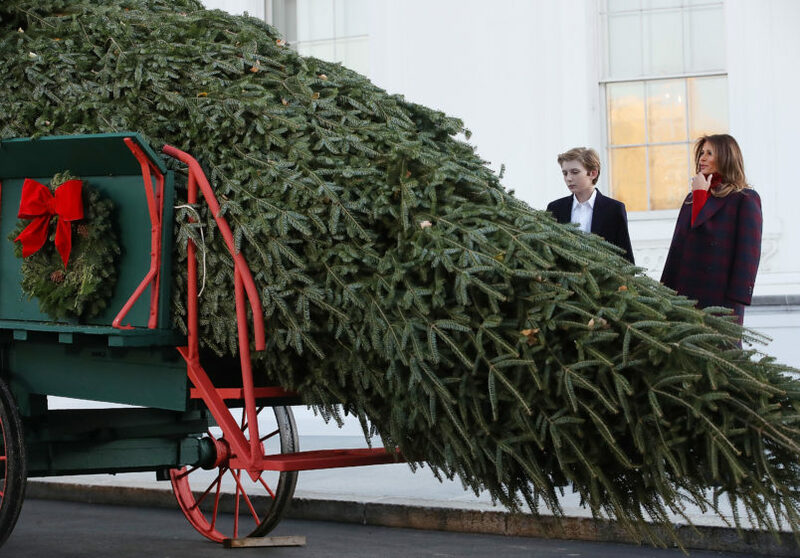 Farmer Holyrood said the tree must have overheard the White House representatives discussing its appropriateness for the Blue Room. "I should have made those guys come up to the house to talk business. I didn't know the tree could actually hear that conversation and react so violently to it!" "The tree's a total loss," said Holyrood, "but we were able to cut one almost as tall -- 18 feet -- in another part of the farm which hadn't heard any of that stuff about the White House gig, so he went down green and beautiful. I don't think his sap can turn after cutting." The White House said it would accept the substitute tree and that its representatives would be more discreet next time.